Democrats say Trump administration, with Florida's help, trying to hobble Obamacare. Gov. Rick Scott would not directly say Wednesday whether he supports a Trump administration move that critics say could wipe away health care protections for pre-existing conditions — a cornerstone of Obamacare — while saying he believes such protections are needed. "I believe that if you have a pre-existing condition, you need to still be able to get health care, so it's very important to me," Scott told reporters in Tallahassee. "I think everybody ought to be able to get health care insurance. I do believe that you've got to start working to fix the law and that law caused our premiums to skyrocket. But I don't believe in grand bargains, I believe in incrementally trying to make change. We've got a lot more competition … We've got to reward people for caring for themselves." Democrats have seized on the issue after the Justice Department withdrew its defense of the Affordable Care Act in a Texas court case attacking the law; Florida Attorney General Pam Bondi joined the state to the case in February. Earlier this week, Scott said he didn't know enough about the suit to comment. "By joining this lawsuit, the state of Florida is actively working to hurt Americans with preexisting conditions," reads a letter Florida Democrats in Washington sent to Scott on Wednesday. "And, as representatives of the people of Florida, we urge you to withdraw from this dangerous suit immediately – and instead adopt additional consumer protections that will protect those with preexisting conditions." Sen. Bill Nelson, whom Scott is challenging for re-election, spoke about the issue on the Senate floor on Wednesday. "So this lawsuit by these attorneys general is nothing more than another political attack on our nation's health care law," the Democrat said. "In my state of Florida, Florida's governor, and the other 19 states that joined that lawsuit, they are the ones that are behind this, and they need to be held accountable that they're trying to get rid of the protections for health insurance if you have a preexisting condition. It's not enough to say that the Trump administration is taking deliberate steps to make health care more expensive." 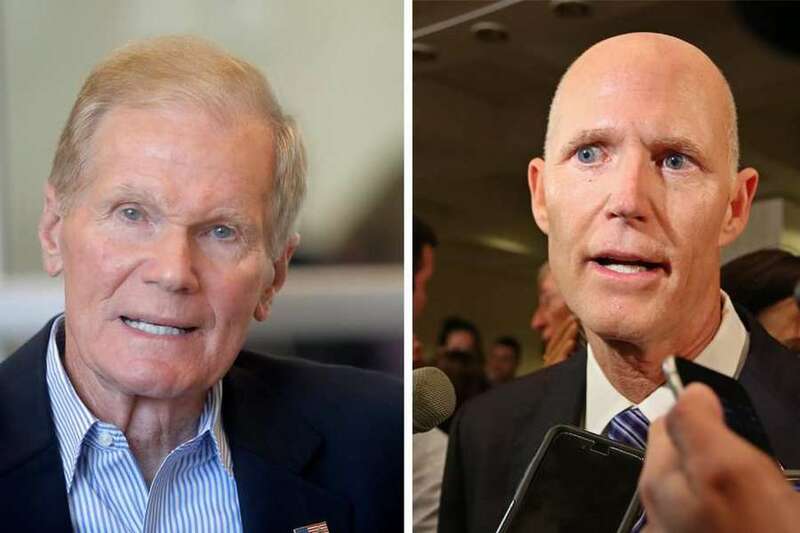 Nelson is making defending the Affordable Care Act a focal point of his campaign, while Scott has dropped his avid criticism of the law. Times Tallahassee bureau chief Steve Bousquet contributed reporting.